Progettazione di un Logotipo nella sua versione iconografica e di solo lettering per la Motard Bistrò. Il locale per Bikers viene identificato in una donna in stile Grease o Rockabilly anni ’50 comodamente seduta sulla sua moto truccata, mentre si beve una buona birra. Versione del logo monocromatica e bicromatica con inserzioni oro. 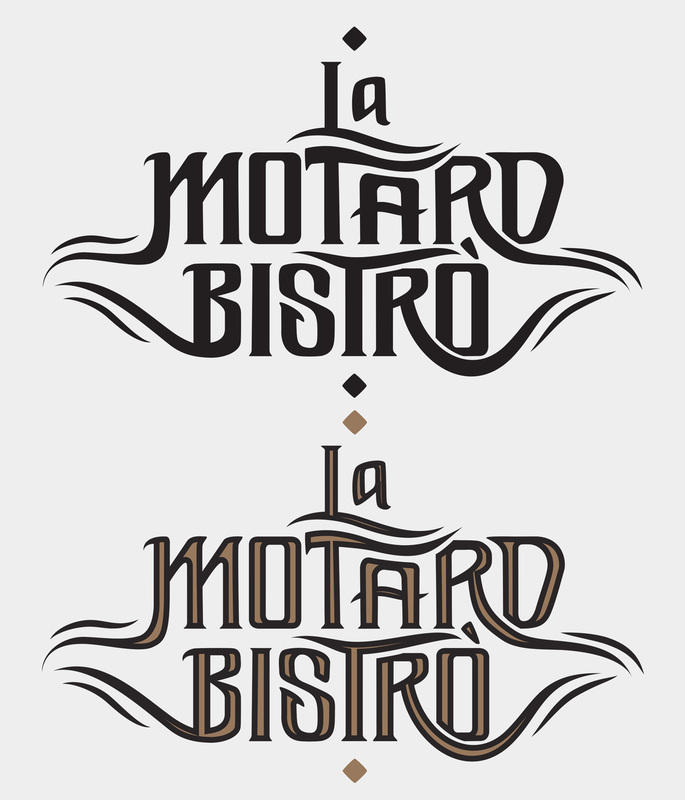 Design of a Logo in its iconography and lettering variation for the Motard Bistro. The venue for Bikers is identified in a woman in 50s style, like Rockabilly or Grease, sitting comfortably on his rigged motorcycle, while drinking a good beer. Monochrome and two-color version of the logo with gold insertions.
. The venue for Bikers is identified in a woman in 50s style, like Rockabilly or Grease, sitting comfortably on his rigged motorcycle, while drinking a good beer. Monochrome and two-color version of the logo with gold insertions.